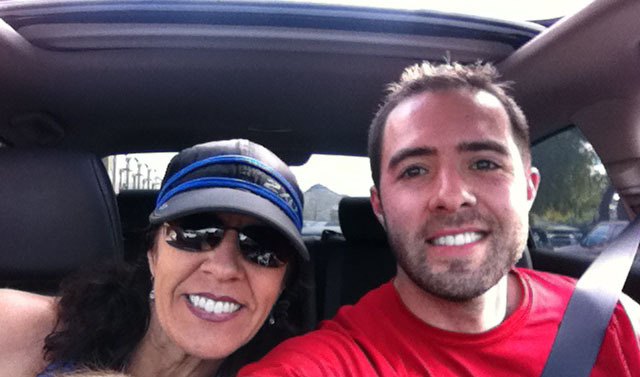 If there’s anyone who knows about going the distance, it’s my mom. My black & blue Asics running shoes have a few hundred miles on them, which may seem like a lot. Truth is, though, I’ve been lapped time and time again by my mother. Drive to five? Try five hundred, five thousand? She’s crossed the finish line over 160 times in competitive races since she started running in the late 1990s, having logged over 20,000 miles. By foot! 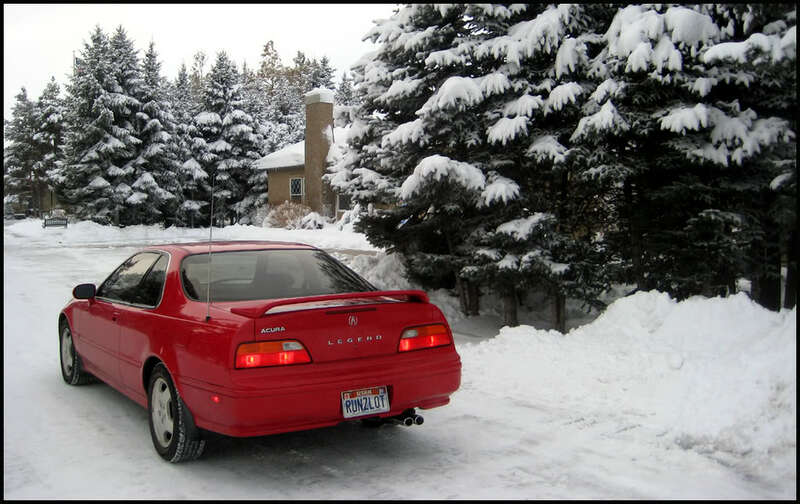 In fact, she had the license plate “RUNZLOT” on her Milano Red 1994 Acura Legend LS coupe. Below is a neat tradition my mom has for her full (26.2-mile) marathons. 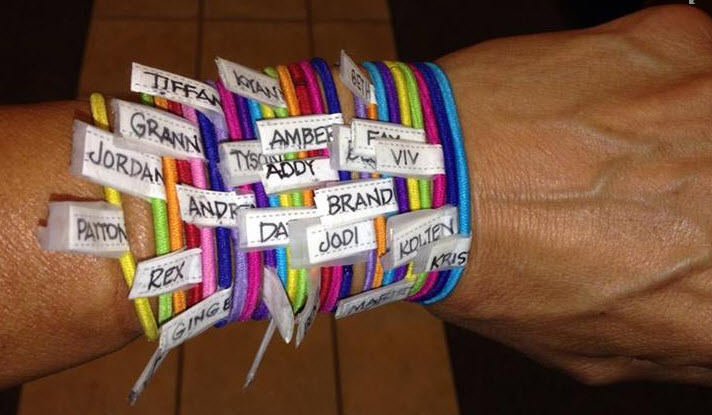 She’ll wear 26 bracelets on her wrist – each one dedicated to a particular friend of family member. As she completes each mile while thinking about that person, she’ll transfer that person’s bracelet from one wrist to the other. 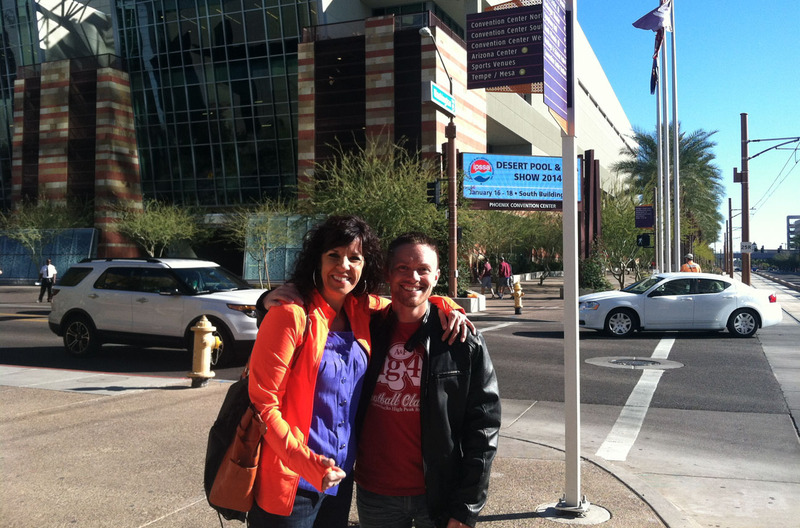 Each year, mom comes to Phoenix from Utah for a winter getaway. 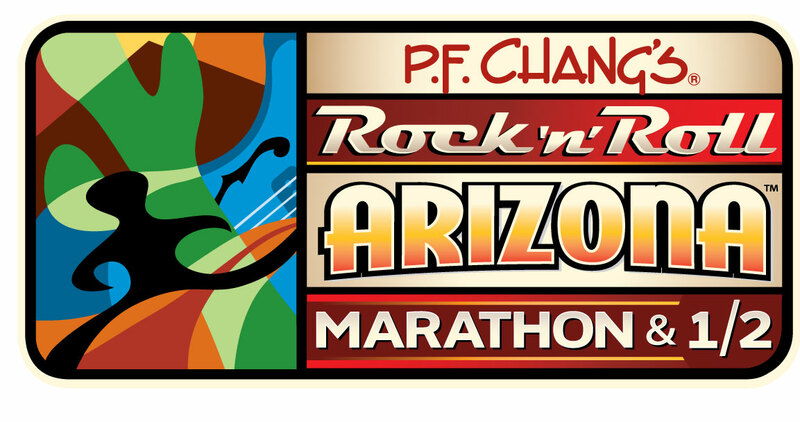 In this blog post, you’ll get a play-by-play of our 13.1 mile race this morning as well as some other weekend activities. Tomorrow night, I’ll share the experience of our visit to one of the world’s premiere collector car auctions, right here in Scottsdale. Saddle up, pardners. 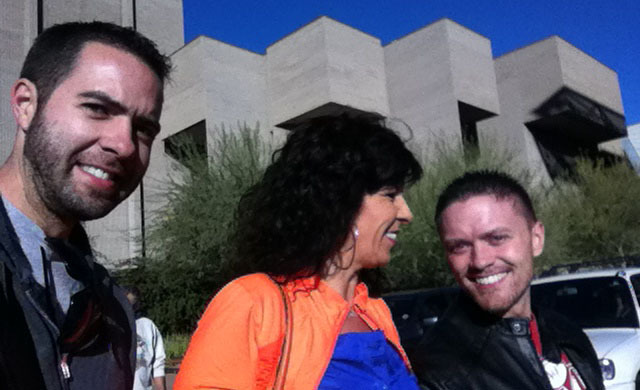 A Friday night out on the town in central Phoenix with friends preceded a busy weekend. Long distance running is a hobby I took on about 8 years ago, and I can’t let it go. I saw a fitting sign today held up by a marathon spectator: “Running is a mental sport. And you’re all insane.” I think they’re absolutely right – anyone would have to be crazy to voluntarily subject his or her body to a dozen miles of pounding the pavement. 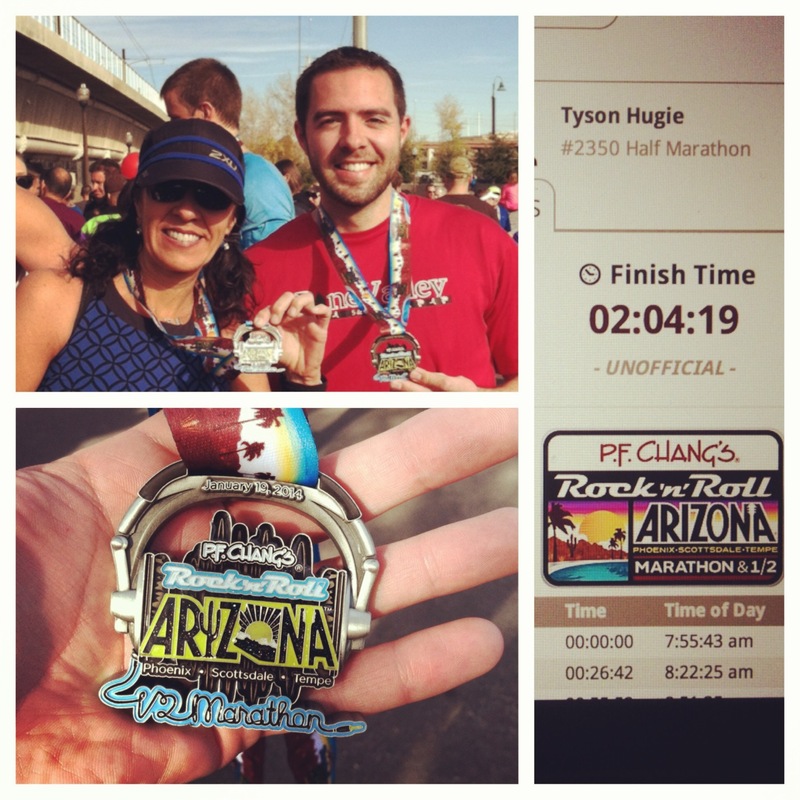 There were 13,407 people today who ran the 13.1 mile half-marathon. 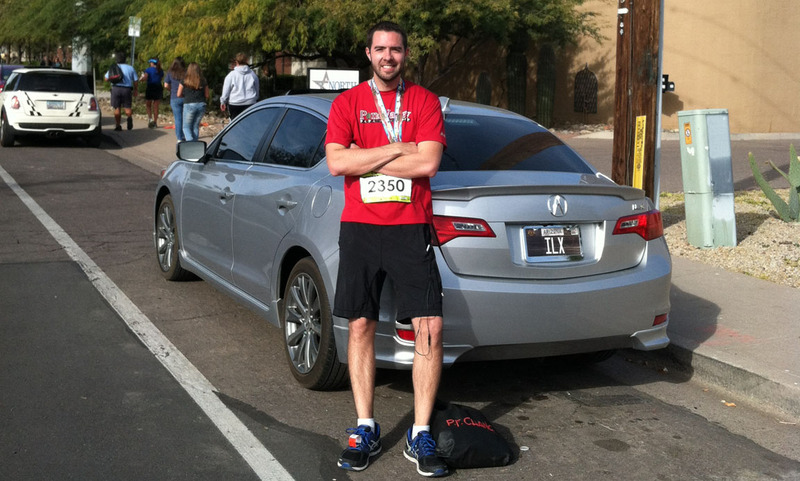 That comes out to 175,631.7 miles that were run this morning between Tempe, Scottsdale, and Phoenix Arizona. 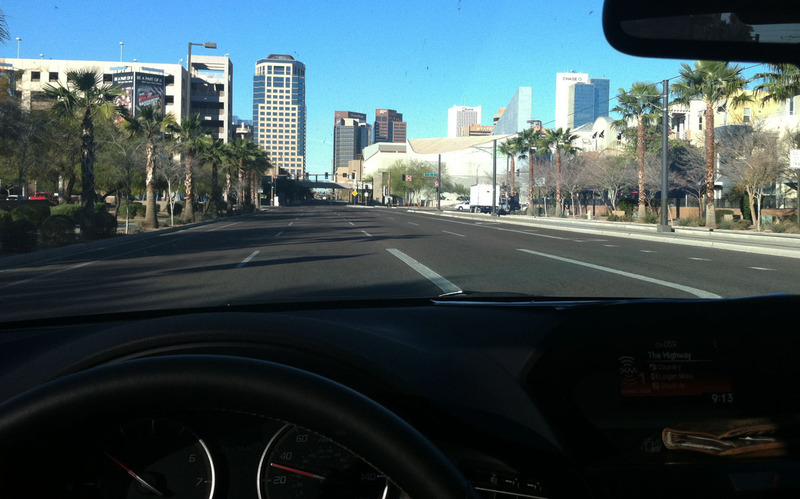 Optimal weather – as Phoenix is known for this time of year – was in plentiful supply. Downtown, we met up with our friend Aaron who’d also be running the race the following day. The following quote has become a mantra for Drive to Five over the years. The joy of getting from Point A to B, for me anyway, has always been more important than the origin or the destination. A quick brunch visit at Windsor satisfied our hunger before a busy afternoon that followed. Linh, Kevin, Tia, Paul in the back, and some cheesy guy taking a 5-person ‘selfie’ in the foreground. Paul’s TL was looking spectacular, as always. 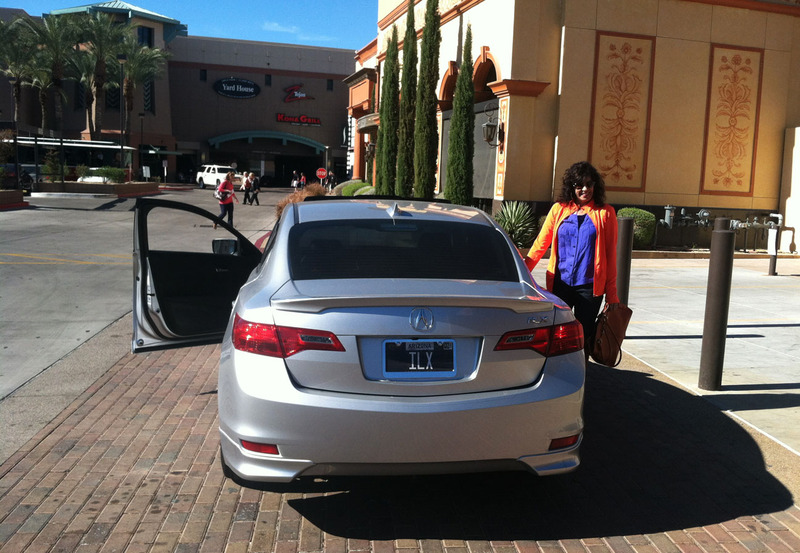 What’s a mom visit without a little shopping at Scottsdale Fashion Square? Race day came bright and early for us all. 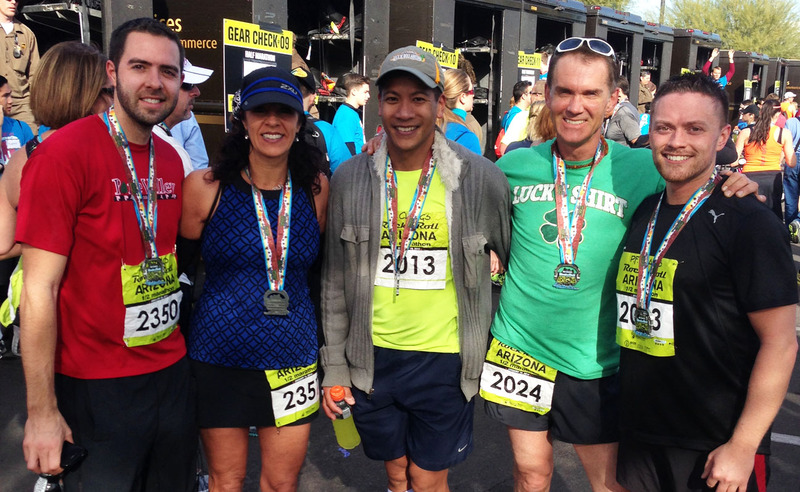 We each laced up and put 13.1 miles on our running shoes. Weather was perfect. I approach a long-distance run much like I do a long-distance drive. It must be broken up into more manageable segments. Take a 13-mile race, for example, and make it four 3-mile races, with a little extra tacked onto the end. That’s how I visualize it. I do the same on a long drive. If I’m heading to a destination 1,000 miles away, I’ll drive 250 miles at a time and only worry about making it that far – without stressing about the long road ahead. 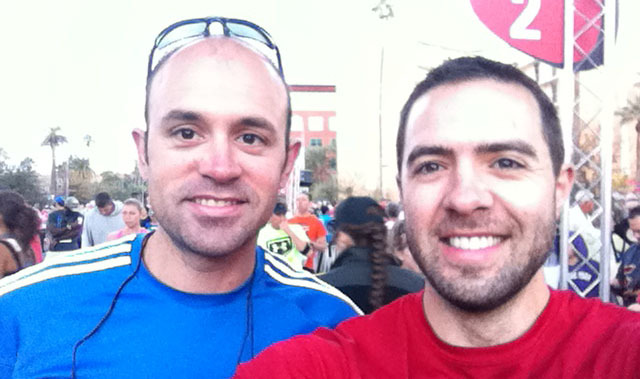 I ran into my friend Thomas at the start line, and we were off. 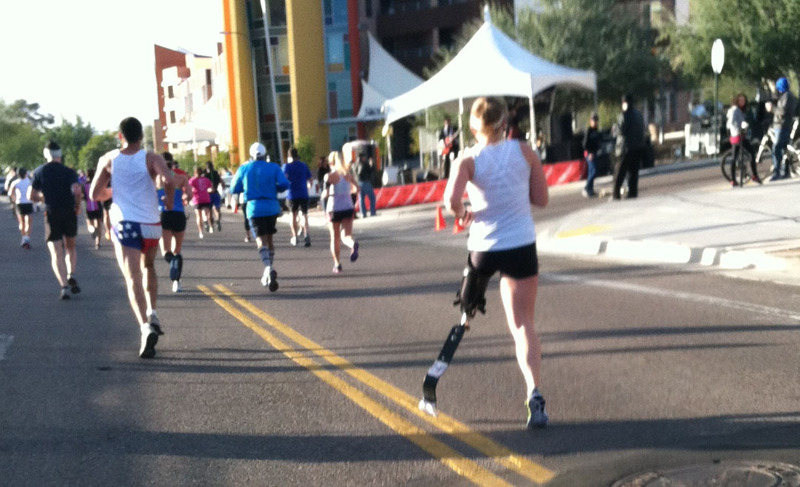 Just when I started feeling a little worn down at around mile 7 or so, I saw an amazing athlete with a prosthetic leg. She was moving and grooving. I no longer felt an ounce of fatigue. I was inspired. A few miles later, I saw a man dribbling two basketballs and running at the same time. 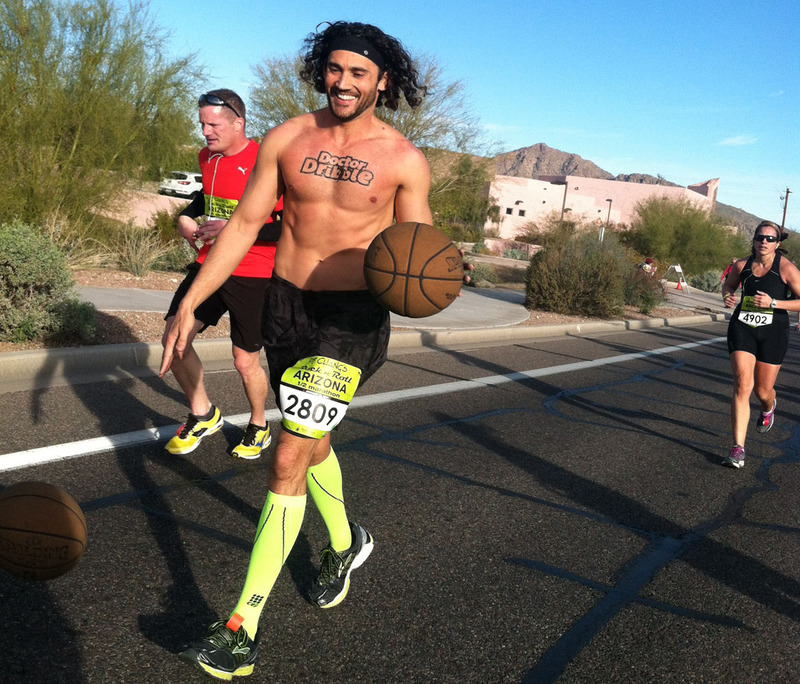 I later googled “Doctor Dribble” online and found that he has a fanpage on Facebook and he’s in part sponsored by the Rock & Roll marathon series. Pretty awesome! I sure wish I had his coordination. Of all the things I most looked forward to as I neared the finish, know what was at the top of the list? Chocolate milk. 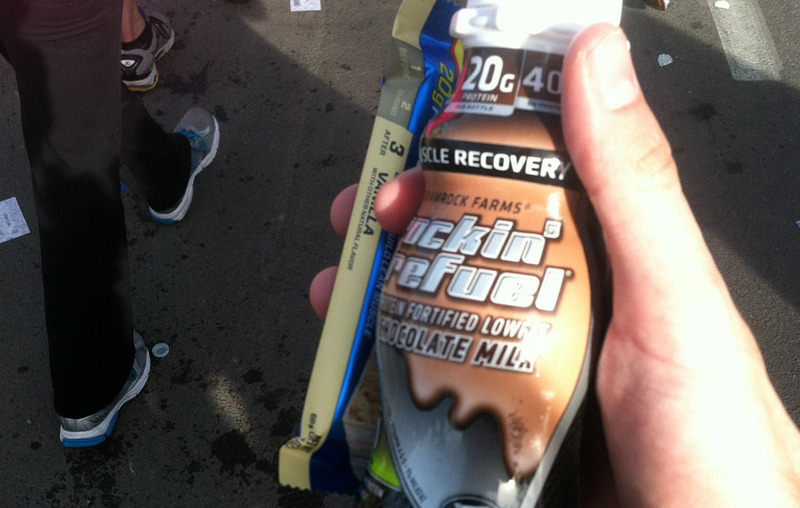 I knew they’d have plentiful supply of this chocolatey goodness in the recovery area. I took two bottles. It was the most delicious thing I have ever tasted. Final standings – well, mom kicked my hiney, as she always tends to do. She went on to place 20th in her age division and still looked like a million bucks. How DOES she do it? Mom rolled in 15 minutes before I did. 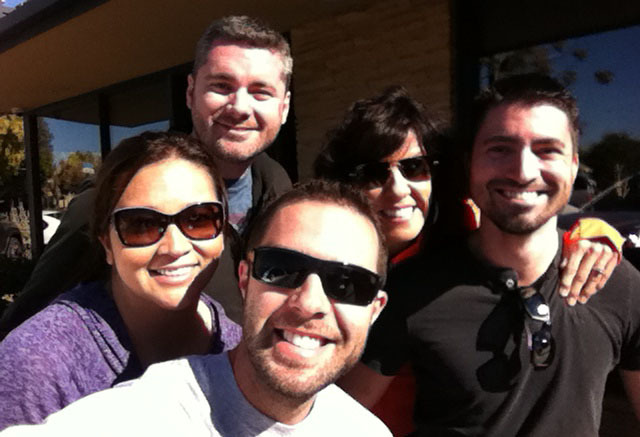 Group shot at the finish – Tyson, Tia, Paul, Jonathan, and Aaron – glad to have succeeded! I finished 3,918th out of those 13,407 total finishers. That comes out to a 9 1/2-minutes-per-mile pace. Slow poke compared to most of the competitive runners out there. 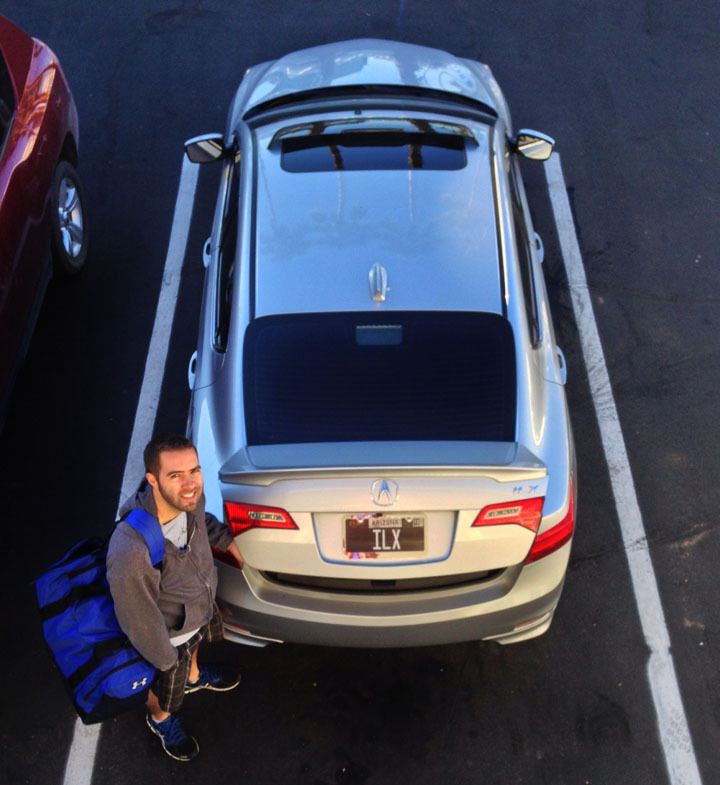 It felt amazing to get back into my leather-lined ILX and roll the moonroof open for a leisurely drive back home to relax. Thanks, mom, for the continued motivation! Here’s a quick iPhone video from the race start line, as well as a few seconds of Dr. Dribble in action. 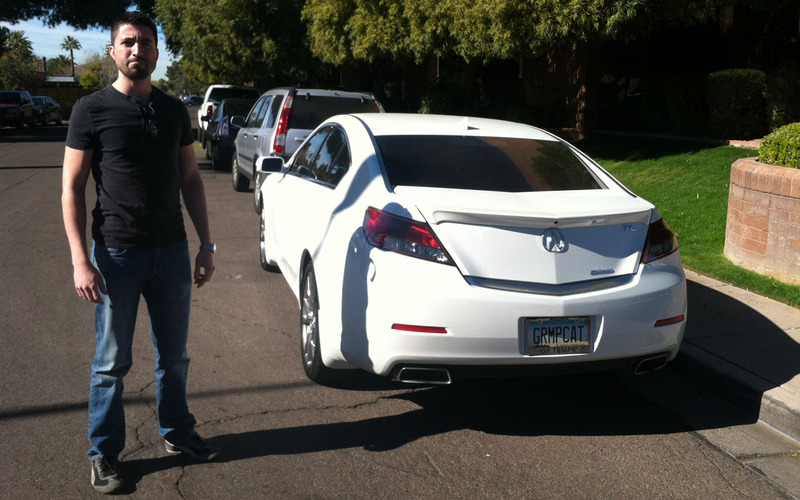 This entry was posted on January 19, 2014 at 7:22 pm and is filed under Arizona, ILX. You can follow any responses to this entry through the RSS 2.0 feed. You can leave a response, or trackback from your own site. Aw, c’mon, you know you want to go to Fairbanks! Passions keep life interesting. Glad to have met so many other people who share mine. That’s what keeps the blog alive! Thanks for a fun weekend. I’ve got more pics to share tomorrow. 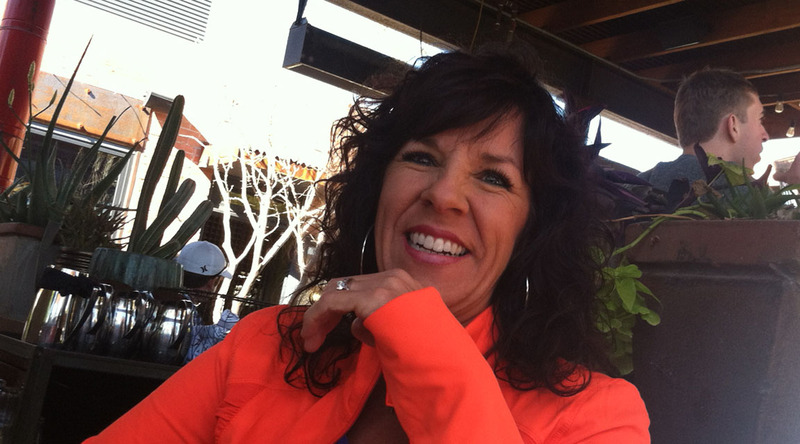 Tyson – your Mom’s a badass – how cool is that? It’s obvious where you get your drive. Congrats to both of you on another great run! Ha, indeed she is, Dave! I hope I can achieve even just a fraction of her “badass-ness”! I’m giving the legs a break for a little while, but it’s only a matter of time until I’ll get the itch for another competitive running event. I’m sure you’ve got a substantial number of miles under your belt, too… by mountain bike, though. Keep on rollin.